Jozef Mokos (born 1941 in Sereď), a remarkable poet, playwright and translator, belongs to the greatest personalities of puppet theatre in Slovakia. From 1962-1981 he worked at the Puppet Theatre in Banská Bystrica. He wrote a famous book of poems entitled ‘Blood Cracking’ (1962,1983). He is an Associate Professor at the Department of Puppetry of the Academy of Music and Dramatic Arts (VŠMU) in Bratislava, in which capacity he is one of key professors. Mokos as a dramaturge found a new dimension and poetic language in the puppet theatre. He tried to find a new role for the puppet in his metaphoric theatre conception. After leaving the Puppet Theatre in Banská Bystrica in 1981, Mokoš worked in various different theatres in Slovakia as a freelance dramaturge and director. From 1983-1991 he worked as a dramaturge in the Poetický súbor Novej Scény (Poetic Theatre of the New Scene) company, where he realised some acclaimed adaptations of literary works by the likes of R Jeffers, A S Pushkin, J Heller, K Horak, C Ajtmatov and others. Later he worked at the Žilina Puppet Theatre, at Puppet Theatre Nitra (now Karol Spišák Old Theatre in Nitra) and finally as artistic director and dramaturge of Bratislava Puppet Theatre (1987-2003). In 2004 he received the Prize for lifelong work, which is awarded by the Literary Fund. He has created some leading roles in artistic films on television, mainly in the films of Samuel Ivaska (Memento, A Basement), as well as some secondary roles in the films of D Trancik and J Jakubisko. 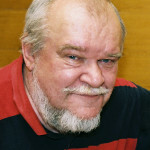 Ján Uličiansky (born 1955 in Bratislava) is the famous Slovak author of the modern puppet plays Tik-Tak (1976) and Golego (1984). He has adapted several children’s fairy-tales (eg J M Barrie’s Peter Pan (1984), Hans Christian Andersen’s Little Mermaid (1991)) for the puppet theatre, has authored several books for children, and has written dramatic works (eg Allergy, published in 1995) as well as a number of radio plays for youngsters and fairy-tales for children. He received IBBY awards in 1981, 1990, 1992, 1993, 1998 and 2004 and was nominated by the Slovak branch of IBBY as a candidate for the Hans Christian Andersen Prize. He has directed 16 puppet theatre productions at the Puppet Theatre in Košice and at Bratislava Puppet Theatre. His most famous productions in in Košice are his own adaptations of the Slovak classical fairy-tales The Golden Allurement (1982), Janko Pipora (1983) and Raduz and Ludmila (1984) together with his own modern fairy-tales and adaptations of the most famous literature for children (e.g. Peter Pan, The Little Mermaid). At present, he devotes most of his creative activities to writing. He is currently Professor at the Department of Puppetry of the Academy of Music and Dramatic Arts (VŠMU) in Bratislava and author of television programme for children Trpaslíci (‘Dwarfs’). Eva Farkašova (born 1953 in Martin) is a well-known Slovak costume designer who also designs puppets. She works mostly together with Polish but also with Slovak puppet theatres. She is also involved as a guest actress in drama theatres and opera scenes (Croatia, Serbia and Montenegro, Poland, Switzerland, Taiwan). In 1975 she worked at Bratislava Puppet Theatre, and and appeared as a guest in performances of the Puppet Theatre Košice and in the early 1990s she began intensive co-operation with Puppet Theatre at the Crossroads in Banská Bystrica. In 2000 she worked for the National Theatre in Taipei (Taiwan) and for the Theatre Basel in Switzerland (staging the production Chineses), in 2002-3 she worked for the National Theatre in Prague (Czech Republic), staging the productions Figarova svadba (‘The Marriage of Figaro’) and ‘Kaťa Kabanová’. She has exhibited her stylised puppets and puppetry artefacts abroad e.g. at exhibitions in France (Paris, Charleville-Mézières, Perigeau), in Great Britain (Leeds) and in Poland (Warsaw). In 2015 she received the Dosky Award for best scenography for the production of Zvedaný sloník (‘A Curious Elephant’) in the Žilina Puppet Theatre. Dr Ida Hledikova-Polivkova (born 2 May 1958 in Trnava) is a theatre critic and historian and a former director of puppetry festivals in Banská Bystrica and Topoľčianky and of the international television festival PRIX DANUBE (2003-2008), as well as author of documentary films, President of the UNIMA International Research Commission and university Professor. At the Academy of Music and Dramatic Arts (VŠMU) she worked in 2007-2015 as a Vice-Dean and Vice-Chancellor of the Faculty of Theatre. In 2001-2010 she worked in Slovak Television. In 2000-2004 and 2004-2008 she was elected as a member of the Executive Board of the International Union of the Marionette (UNIMA), the highest body of the organisation, its first and until today the only Slovak representative. She is a former member of the Commission for Publication and Communication and at present she is the Head of the International Research Commission for Puppet Theatre. She is a member of the Executive Board of UNIMA. From 1985-1996 she was a researcher in the Theatre Institute in Bratislava. Since 1999 she has taught in the Faculty of Theatre at Academy of Music and Dramatic Arts (VŠMU) in Bratislava. Her works are published in Slovakia and abroad (Poland, Czech Republic, Russia, USA, Great Britain etc.). She takes part in international seminars and conferences (Austria, Czech Republic, Greece, France, Germany, India, Poland, Russia, Ukraine, USA, Great Britain) and in theatre, film and television festivals as a jury member (e.g. film festivals in Cairo and Moscow, theatre festivals in Cividale dell Friulli, Katowice and Bielsko-Biala). She is the author of monographs – Comedians, Wanderers, Puppeteers, a book on traditional marionette theatre published in 2007 and Snívajte s nami (‘Dream with us’) on the history of Karol Spišák Old Theatre in Nitra. She is also the author of the documentary film Posledná maringotka (‘The Last Caravan’, 2008), which was shown at 26 festivals in Europe and in the USA and was given two awards at the international film festivals.